The plan for the PokerStars Players NL Hold'em Championship was simple but ambitious: get players from all over the world from different backgrounds, skill levels, and bankrolls to the Bahamas to play the biggest $25,000 event of all time. The PSPC broke records and made history as the biggest $25K tournament ever. And indeed, players from all walks of life came to the Caribbean to play this mega-event -- players like Germany's Michael Robionek. The 46-year-old from Gelsenkirchen-Buer in North Rhine-Westphalia is a true micro-stakes player. He won his Platinum Pass in the "Human Lie Detector" Freeroll and cashed at the Atlantis Resort for $150,600. Much was written about Michael's run during the PSPC, but the story is far from over. In a conversation with Michael just over two weeks after the tournament, it quickly became clear that the Players Championship was a very special and unique opportunity for him. The opportunity for a professional restart -- but not as a professional poker player. Two years ago Michael lost his job at an international steel company. "I sold niche products and after a few company mergers I was left with my niche knowledge," he told us. "Since nobody offered me a job, I knew I had to invest in my future." Michael started an event management business as a backup plan but couldn't realize his vision with some capital investment. After he won the "Human Lie Detector" Freeroll and with it his Platinum Pass, he realized immediately: "My investment in this tournament was my future, the Life Changer. Even with a min-cash, I could build something up." Unsurprisingly, Michael's preparations for the tournament of his life were extensive. Michael originally built his small bankroll up with freerolls and, prior to the PSPC, scored his biggest success a few years ago winning $85 as the runner-up of a $1 tournament. Making a run in the PSPC would require much more game, so he took advantage of every resource available to him. He used the exclusive coaching sessions with top players like Daniel Negreanu, Chris Moneymaker, and Maria Konnikova, that PokerStars provided for all Platinum Pass winners on Facebook. He also joined the training group formed by Felix "xflixx" Schneiders, which included six other Platinum Pass winners from Germany. "At the invitation of Felix we also played a live tournament with this group in Cologne. I busted after just 30 minutes," laughed Michael. But the most important aspect for Michael was the mental preparation, including selling shares of his action. "In retrospect, that was a crucial point. Knowing that I've made a win before the first hand was played had a very positive effect on my mindset. I just had less to lose than most." In four days of poker, Michael played plenty of key hands, some of which stick out more than others for a variety of reasons. Among them is a hand versus Matthias Eibinger, who just a month earlier had won the EPT Prague €50K Super High Roller and has booked more than €5 million in tournament winnings. At the end of Day 1, Michael sent the Austrian to the rails with Q-Q against T-T. It wasn't a particularly big pot because Matthias had previously lost a big hand, but with the extra chips Michael ended the day above average. And ending the day by busting a pro is always good for self-confidence. 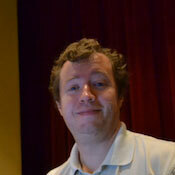 The most discussed hand was the one versus German pro Franz Ditz at start of Day 3. Around 15 players stood between Michael and a $25,000 min-cash. Michael was still in with an above-average stack of 300,000 chips and his plan was simple: "Don't risk anything and just fold into the money." Then came a situation that Michael didn't fit with the game plan. Michael was dealt pocket aces, re-raised against Ditz's opener, and then saw Ditz jam for about 250,000 in chips. "At that moment I realized once again that I can invest in my future, if I reach the money. But if I lose this hand, I'm short and risk walking away empty-handed", Michael said of the crucial moment. After two minutes of considering his plans, Michael made the call. He won the hand versus pocket kings and the rest is history. Understandably, Ditz was a bit annoyed at first. But at the Players Party a day later, Michael approached him and the conversation ended with a handshake. Michael's bustout hand took him a bit longer as at first it looked standard. After a raise from the aggressive Farid Jattin, Michael jammed from the small blind with A♠5♠ for his last seven big blinds. In the big blind Julien Martini, who eventually finished the tournament in second place, woke up with A-A and sent Michael to the rail in 21st place. "I didn't trust my reads in this situation. Martini counted the stacks even before the action, this was a sign for me that he must have had a strong hand. This is when I should have decided on a different conclusion. Also the next payout step was close. On the billboard were 22 players, but I should have asked the floor and maybe cashed for $25,000 more. But I won't judge myself. After four days playing poker, without much sleep, I was at the end of my capacity." Michael doesn't know quite yet what the future will bring regarding poker. "Of course I want to play another big live tournament, especially to see if such a result can be repeated," he said. "But this year will be dedicated to my professional projects." Even so, he plans to continue playing online and stay true to his hobby. "I still have €80 on PokerStars, enough to work with. And of course I'll keep playing freerolls." Michael has already logged one small post-PSPC success on PokerStars playing as "Babapaps." He qualified for the final of the Reise nach Vegas ("Journey to Vegas") freeroll. Michael will play on February 25th for a trip to America's playground worth $5,000. Then there's one final thing on Michael's bucket list. As member of PokerStars School he keeps taking part in activities, pocketing free tournament tickets, and completing the different poker courses. But even after his life-changing run in the PSPC, the MTT quiz is giving him headaches. "I don't know if I should say this here at all," he said, "but Course 15, the tournament course, is the one I simply cannot achieve." The original plan was to solve the quiz with the other German Platinum Pass winners after Day 3 of the Players Championship, when he already had $86,400 in prize money locked up. "This simply didn't work out as the other players couldn't stop laughing," said Michael with a laugh of his own. Robin Scherr of the German PokerStars Blog conducted the interview with Robionek and contributed to this report.